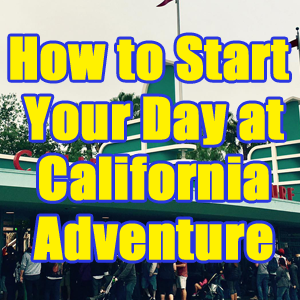 With a good strategy, you can see and do all of California Adventure easily in one day. In fact, with my plans, you can typically have all of the park’s attractions completed just in time for a late lunch. This post will stay updated to show you the current most popular attractions and how to fit them into your morning. I test these strategies at least once a month to make sure they work and then adjust as needed to ensure you are navigating the park in the most efficient manner. A good start to your day is important. Let’s see how to make that happen. What about Radiator Springs Racers?! Review this post for how FASTPASSES work. Review this one to know what Extra Magic Hour means and to see if you qualify for it. FASTPASSES are a must for these plans to work. These plans were written out logistically to cut down on walking time for those guests using the Classic FASTPASS system. If you are using MaxPass, select the first FASTPASS on each list as soon as you walk through the gate. (I clarify which one in each plan below.) Then, follow the same plan, but select FASTPASSES on your app as soon as you’re eligible each time. These plans work most effectively, of course, for an 8:00am official park opening/7:00am EMH opening. However, they are still your best strategy for 9/10am days and even 10/11am days. If you have EMH, I recommend using the main entrance instead of the one in the Grand Californian Hotel, as it can get quite crowded. I recommend bringing breakfast/snacks with you to eat on your walk into the Disneyland Resort or to munch on while you’re walking from one stop to the next. Save a sit down breakfast for another day. My goal for you with these plans is to complete – or be holding a FASTPASS for – every attraction in California Adventure by a late lunch. The plans below incorporate every “ride” in the park with the exception of Bug’s Land attractions. Start your day with one of the plans I share below and then take a break after lunch. Go back to your hotel and nap, swim, etc. Then, return late afternoon/evening. This allows you to avoid the most hectic and hottest time of the day when most park guests start melting down. 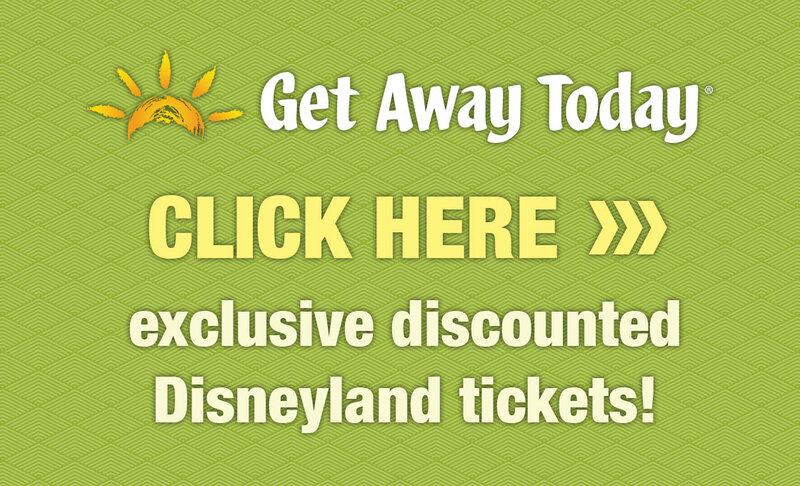 Upon returning, enjoy Bugs Land, shows, walk through attractions, parades, etc. If you don’t want to break outside of the park, I share suggestions for afternoon activities below. 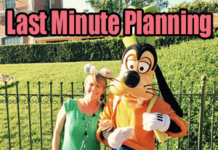 Two plans below are designed for guests with Extra Magic Hour (EMH). This privilege is reserved for guests staying at one of the Disneyland Resort Hotels. Magic Morning is NOT available at California Adventure. EMH is most often hosted at DCA on Monday, Wednesday, Friday, and Sunday. There are exceptions, however, so be sure to check the schedule online or on the app before you visit. Extra Magic Hour and Magic Morning are explained in more detail in this post. Once you complete one of the plans below, grab a FASTPASS for any attraction you would like to repeat. Many guests love Radiator Springs Racers at night. Consider that one for sure. Always have a FASTPASS working for you. Whether you’re in line for an attraction, stopping for a snack, eating lunch, watching a show, breaking at the hotel, etc……doesn’t matter. Always have a FASTPASS pulled so that the time you’re spending doing other things is getting you closer to the return window of the FASTPASS you’ve chosen. *You may not choose a FASTPASS for an attraction you already hold a FASTPASS for. You must ride that attraction with your FASTPASS in order to choose another. *You may choose your next FASTPASS before the timing provided in this sentence, detailed above, if you board the attraction you’re currently holding a FASTPASS for. Example: If your sentence says that you can select your next FASTPASS at 10:30am, and you scan your ticket or app to board the very attraction you selected this FASTPASS for, you may choose your next one immediately. 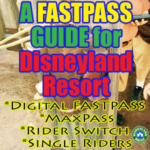 The FASTPASS post I linked to above has all sorts of tips on how to make them work for you. I highly recommend you take the time to read through it. One of my favorite tips that many guests don’t know about is that if you are using MaxPass, you can use it anywhere (in and out of the parks) after you go through the turn stiles and start your day. Finish a busy morning following one of my strategies and want to lay by the pool? Continue to select FASTPASSES pool side with MaxPass. Use the same tip above and pay attention to your timing. 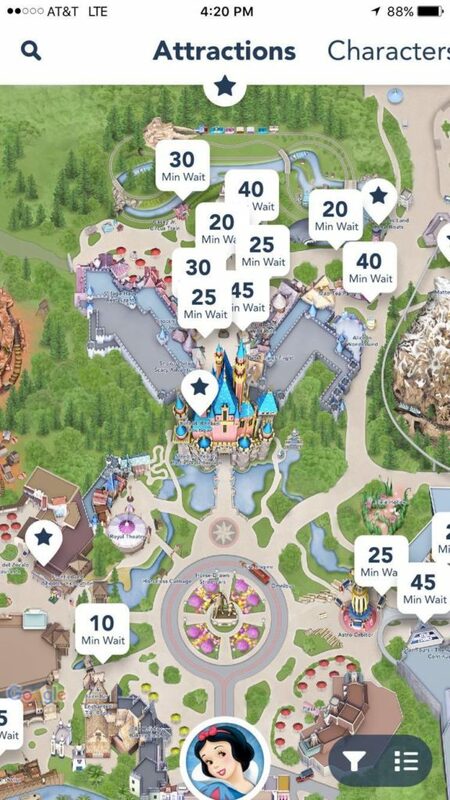 Within a few hour break, you could easily accumulate 3 or more FASTPASSES that will have you completely set up for the evening when you return to the park. Just like Peter Pan, I recommend avoiding Radiator Springs Racers at the beginning of your day, whether you’re using the Classic FASTPASS system or even MaxPass. 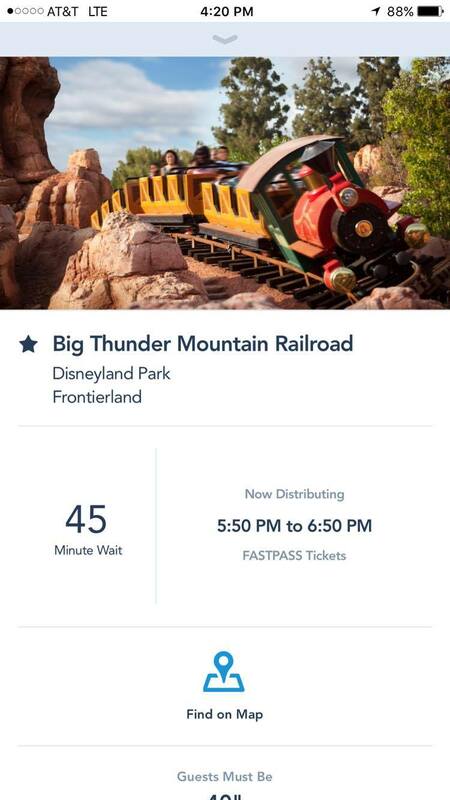 Most park guests panic with RSR thinking its FASTPASSES will be gone within an hour of park opening. They won’t. I promise. If you’re using Classic FASTPASS and walk to pull your FASTPASS from the RSR machine at official park opening, you’ll likely spend 20 minutes just waiting in line. That completely negates the entire idea of the FASTPASS system. In each of my plans, I have included RSR where it makes most sense. I have been through these strategies many, many times and have never once missed grabbing this FASTPASS. 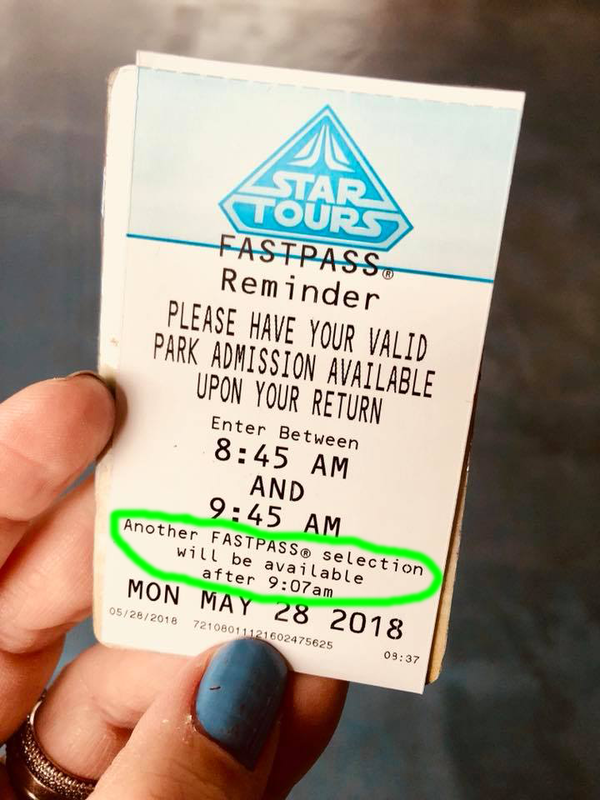 With or without MaxPass, if you choose RSR first, you will likely have to wait 90 minutes until you can pull your next FASTPASS after RSR, regardless of what time you pull this FASTPASS. 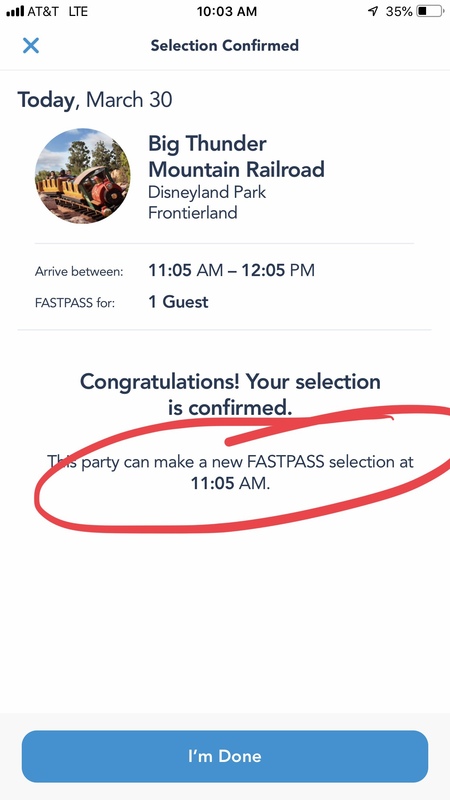 For that reason, I suggest selecting other FASTPASSES to start your day, which will make you eligible to pull subsequent FASTPASSES much quicker than 90 minutes out. The first few hours of the day are so critical. If you follow one of my plans and think I’m insane for not directing you to RSR first, feel free to check your Disneyland app throughout the morning to ensure you’re not going to miss pulling this FASTPASS. I share how to below. That should give you peace of mind. Big Kids plans include all attractions. They’re designed for guests who wish to conquer everything. Little Kids plans are created without the bigger, “scarier” attractions little ones might not like. Choose which works for your group based on interest. This link share info on each attraction. Scroll through it to get an idea of what each attraction is like. Have both big and little kids? I recommend using the Big Kids plan, as it includes all attractions. When you come across an attraction that little ones can’t ride, find a nearby alternative (cast members at the entrance to the big kid ride can advise) or have a quick snack/use the restroom. Because the big rides are scheduled for early in the day, those riding will be in and out quickly. Arrive an hour prior to park opening and get in line at the gate. Once you’re allowed in the park, go straight to Soarin’. 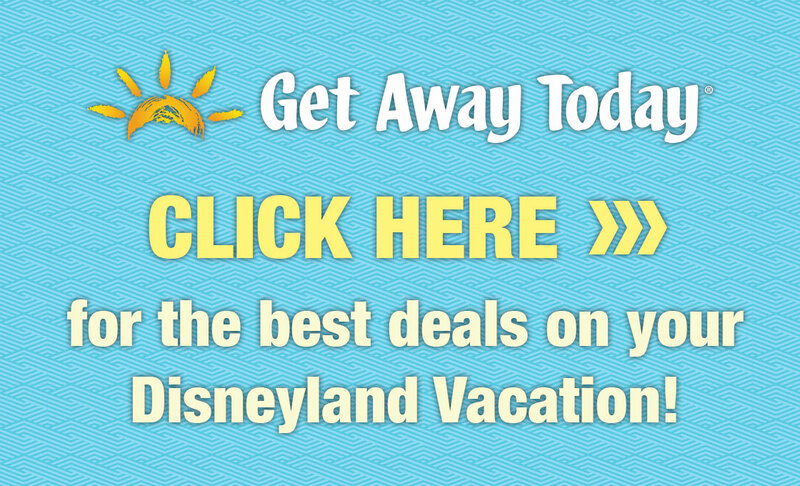 Enjoy walk through attractions like Animation Academy, Redwood Creek Challenge Trail, etc. See characters and shows at this time, too. If you are using MaxPass, select the Toy Story Midway Mania FASTPASS and World of Color FASTPASS as soon as you enter the park and then follow the plan above, selecting each FASTPASS as soon as you’re eligible to. If the park is hosting an Extra Magic Hour, it’s very likely that you’ll be able to walk right on Soarin’ prior to park opening. Do it! I’ve done it dozens of times without EMH privileges. Since Rope Drop is set up near Pixar Pier, this leaves Soarin’ wide open to all guests and they rarely confirm if you have EMH privileges. This trick doesn’t always work because sometimes cast members will ask for room keys to identify those with EMH. If it doesn’t, you’re still in the best spot you can be – first to ride Soarin’ at official park opening. If the park is not hosting Extra Magic Hour, this plan still works. Spend the middle of your day visiting characters and enjoying walk through attractions like Animation Academy, the Redwood Creek Challenge Trail, etc. Also use this mid-day time to see shows like Frozen and the Disney Junior Dance Party. Arrive an hour prior to official park opening and get in line at the gate. Once you’re let in, go immediately to Soarin’. If you are using MaxPass, select the Incredicoaster FASTPASS and World of Color FASTPASS as soon as you enter the park and then follow the plan above, selecting each FASTPASS as soon as you’re eligible to. Arrive 30 minutes prior to EMH opening and get in line at the gate. Enter the park and go straight to Radiator Springs Racers. If you are using MaxPass, select the Radiator Springs Racers FASTPASS and World of Color FASTPASS as soon as you enter the park and then follow the plan above, selecting each FASTPASS as soon as you’re eligible to. Arrive 30 minutes prior to EMH opening and line up at the gate. Enter the park and go straight to the Incredicoaster. If you are using MaxPass, select the Guardians FASTPASS and World of Color FASTPASS as soon as you enter the park and then follow the plan above, selecting each FASTPASS as soon as you’re eligible to. Rider Switch is a free service offered to all park guests. You may use it in conjunction with FASTPASSES (Classic or MaxPass) or without them. The rules changed in 2018, so be sure to review those here. Essentially, now guests must use their return pass(es) from the Rider Switch system within an hour of them being issued. Before this change, I encouraged guests to save the return passes until later in the day so as not to interrupt your progress in the morning. Those earlier hours in the park are essential for getting lots done before the crowds arrive. And, doubling up on attractions will slow you down. Arrive an hour early each day and use one of my strategies shared, above. Use Rider Switch for the attractions you’re interested in with the exception of those that offer a Single Rider Line. I share a list of Single Rider attractions here. Instead of asking for a Rider Switch return pass for these attractions, move on to your next step in the strategy and know that you’ll be able to enjoy these attractions later in the day with a short line. Afternoons are great for taking a break from attractions and instead, focusing on entertainment or even taking a break at your hotel. While one adult has kids at a show or on break, have the other tackle those four attractions that offer a Single Rider Line. Cutting down on Rider Switch return passes will allow you to move more efficiently during your day. The only catch with Single Rider lines is that there is no guarantee that an adult and child will sit together. And, the child has to be 7 years old to use the Single Rider line. If those restrictions don’t work for you, simply move through the strategy using Rider Switch return passes immediately after the first ride. You’ll be delayed a bit, of course, but if you get a good start with your day, you will still make good progress. I mentioned above that you can find out FASTPASS distribution times for RSR while you’re working through the rest of the morning strategy. You can do this for RSR and any other attraction that uses FASTPASSES. You may use the app to find this info regardless of whether you’re using Classic FASTPASS or Maxpass. Be sure you have the free Disneyland app downloaded for your visit. When you click on “Attractions”, this map comes up. I prefer the list, so I change it to such by using the “show list” button. And, you’ll find the list. Scroll down to the attraction you’re looking for. I mention Rope Drop in this post several times. Here’s what you need to know about it. The park will typically open 30 minutes prior to official park opening on both regular and EMH days. You’ll be allowed into the park and down Buena Vista Street until the Rope Drop set up before each land. Before you head toward any of them, grab a park map or two as you walk through the turn stiles. At DCA, you can set up in three places: at the beginning of Hollywood Land; near Carthay Circle facing Cars Land & the Radiator Springs Racers FASTPASS distribution point, and near Pixar Pier by Ariel’s Undersea Adventure. Rope Drop is a term used for when the “rope is dropped” and guests are allowed in the park. There is a physical rope set up at each of these points to hold guests back. At official park opening, a cast member will remove the rope as music is played and a short welcome speech comes over the speakers in the park. Cast members will greet you and let you know when to officially start your day. Want coffee while you wait? Have part of your crew set up at whichever Rope Drop you choose and then send someone to Fiddler, Fifer and Practical Cafe. Find it at the end of Buena Vista Street , on your right, across the circle from Carthay Restaurant. This location is the “Starbucks” of DCA and includes pastries, breakfast sandwiches, cold drinks, hot drinks and more. As mentioned above, my plans are designed for you to get almost every “ride” at DCA completed by early afternoon. Save that time for characters, shows, walk through attractions and more. Here are some examples of what to do. In addition to avoiding crowds and mid-day heat, getting all or most of your attractions done by early afternoon allows you to really enjoy all the awesome entertainment DCA has to offer. Within each strategy, one of your steps is to grab a WOC FASTPASS. Two things make these FASTPASSES unique: 1. They are disconnected, which means you can hold this FASTPASS and any others. 2. You must have your actual theme park ticket or annual pass to pull this FASTPASS. You may not do so on the app if you’re using MaxPass. That link above shares sooooooo much more on World of Color, which FASTPASS to get, and how to secure the best view of the show. The WOC FASTPASS machine is located near Ariel’s Undersea Adventure. I test the strategies as the park changes and also randomly to ensure they’re the best way for you to tour. When I test them, I often share the results on Facebook with many, many details from my day. Follow me on Facebook to see my monthly tests as I complete them. When I test, I do so alone, with my kids, in heels on Dapper Day, and even once with 50ish people! I, by no means, run from attraction to attraction. My intention with testing is to make sure the strategies work for you guys. If I’m solo, I walk through the park as a family would – as I have many, many times over the years with my own kids – pushing a stroller and corralling children. I’ve been there. I know what it’s like. I do my best to mimic a family’s walk through so that you can see how my plans would work for you. July 27, 2018 – finished every attraction with the exception of Bug’s Land by noon! December 22, 2017 – includes both a morning at DCA and afternoon at Disneyland – 3 days prior to Christmas! I encourage you to take a look at those posts above to see how the plans work during an actual day in the park. You’ll learn how I adjusted my plan to accommodate a ride closure or other surprise you might encounter. While every park visit is different, it’s good to have an overall idea of what you can expect during your day. 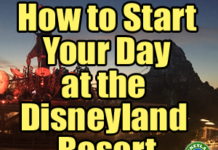 For information on how to start your day at Disneyland, visit this link. Be flexible. Attractions go down for long periods of time. Be ready to move on to the next step in your plan – or to reroute all together if need be. While Disney makes every effort to keep the park running smoothly so that you know what to expect out of your day, things can change at any point. Consider Rider Switch to help with a day that includes little ones. The rules have changed recently, so be sure to review this link for updated information. Consider Single Rider lines to help with a day sans little ones. I don’t include Single Rider lines in my strategies because they don’t work for all guests. But, California Adventure has a lot of them. Take advantage. More on those lines and how they work at this link. Have fun! While I’m a big fan of focusing on a plan to maximize your park experience, but no one likes a dictator. Use my strategies to get you started, but pay attention to how your crew is enjoying the morning. Adjust as needed. Take plenty of bathroom breaks, water breaks, and stop for snacks if your budget allows. If you see a character that includes a short wait time, jump in line! When I test my strategies, I do all of those things and still accomplish everything I intended. Your posts are so informative and helpful. We did DL for a day last year and are returning this year, attempting both parks. We were going to do both in one day but with the current special, it isn’t much more to do a 3-day pass. Our first day won’t begin until about 4pm. Would you recommend Disny or CA for that day? Our children are old enough to do all the rides. Also, we did MAX Pass before and will for the full day, but will it be worth it later in the afternoon? Won’t it be hard to get fast passes at that time? Thank you for any tips. I have 2 questions. First off when you say don’t grab a Radiator FP right away because you will have to wait 90 minutes, is that because it jumps so fast, meaning if I get in at park opening and the return time is like 20 minutes from when I enter should I grab it? Or if park opens at 8 the return time will probably already be 9:30 so I should wait. I’m just confused about the 90 minutes. Which leads me to my next question how do you wind up with a few FP? I understand about it showing on the FP when you can get your next one, but isn’t that based on when you pull and use, so the most you could have at at time is 2? I thought I read people having 4 at a time…not sure how that would happen. I do plan on having maxpass but not early entry. So, that prohibits you from using FASTPASSES during the first 1.5 hours of the park. I recommend Incredicoaster first instead, as you’ll be allowed to select your next FASTPASS (RSR) after only a 30 minute wait. Knowing that trick will help you stack FASTPASSES as your day unfolds. Let me know if you need further clarification. When do you recommend doing the credit card meet n greet and the Disney jr dance party? Early afternoon for Disney Chase VISA (it closes at 1:30pm) and then to dance party after that. First, THANK YOU for all this wonderful advice! I’m confused on one thing. You make a point of suggesting not wasting time by going to RSR first thing as well as not grabbing it as your first MaxPass, but in your plan for EMH with Littles (our situation) you suggest going there first and selecting that MaxPass first. Am I understanding that correctly? You are understanding it correctly. I recommend going there for EMH if you arrive the recommended 30 minutes early. 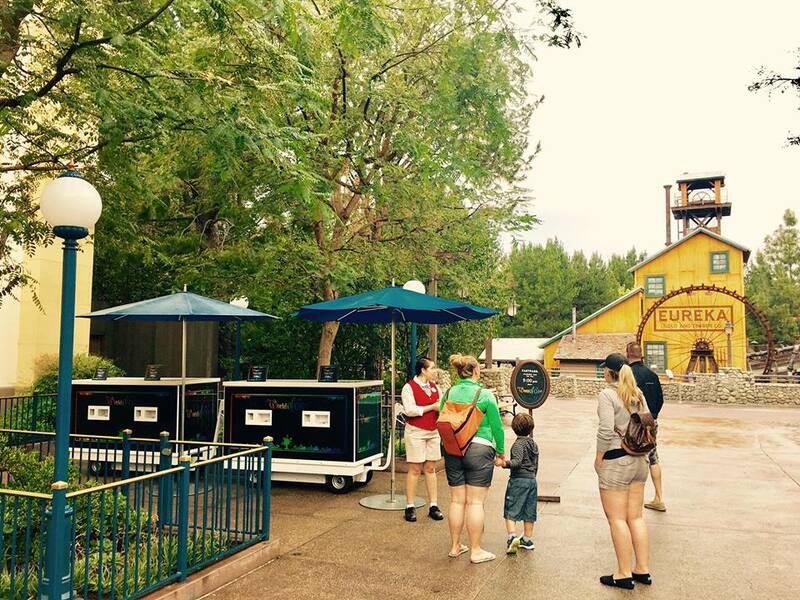 Because only EMH guests will be in the park, you won’t wait long for the attraction if you’re early. If you’re using MaxPass, select RSR as soon as you walk in, ride it, and then move on with the plan. Most guests want to ride it multiple times which prompted me to design the plan like this. It also works with DCA because there are fewer things for little ones to do. Yes that makes sense! Thanks for the reply and thank you again for your time in helping all of us create plans to make the most of our time in the parks! Happy to help you. Have fun! Hello there!! I am thinking about doing a 1 day park hopper on June 5th. We will only be in California 3 days. I know that Star wars should be open by then but I can not change my trip. Is 2 parks in one day doable. Knowing that I can’t see and do everything, but still wanting a fun good time? Thanks in advance! It will be very busy, but you’ll be just fine with a good plan. Use the tips in this post and the One Day Plan I share for your best bet. Arriving early and using MaxPass will be essential. Enjoy! Hi Casey, first off your site has been ESSENTIAL in helping me prepare for our trip in April so THANK YOU! Hi, Beth. Glad I can help you! Use MaxPass to select your RSR FASTPASS immediately upon entering the park. No need to wait for your standby ride or the Rider Switch ride to come and go. The strategies I share are suited for all guests – without MaxPass – as not all guests want to budget for it. So, each is tweaked just a bit when using MaxPass. Does this make sense? One more question – I know you recommend having each adult grab a different FASTPASS when using Rider Switch, which makes sense. But how would that work for our 4 year old to get to ride with each of us when we have different FASTPASSES? Would he only get to ride on the Rider Switch times for the rides he doesn’t have his own FASTPASS? Am I understanding it correctly where, in order to double up his ride times with our Rider Switch, we would have to wait to pull his next FASTPASS until the time he is given where he is allowed to pull another FASTPASS?? My husband and 4 year old each pull FASTPASSES with Max Pass for RSR. I pull a FASTPASS for Goofy’s Sky School (but my son can’t because he has the 90 wait for another FASTPASS w/ RSR). So I would ride Goofy’s solo, then my husband and son ride on Rider Switch? And they would ride first on RSR then my son can ride again with me on Rider Switch…did I understand that right?? Hello there!! The California Adventure with Big Kids plan with NO max pass…..How long would you say that typically takes?? I had a friend reccomend touringplans.com which I like the flexibily of adding it shopping/character breaks. But also LOVE your plan of ride or bust with time to do whatever after. I very much appreciate all you do!! ? I typically have everything done at DCA by lunch time. If not all attractions done, I’m at least holding a FASTPASS for those I haven’t been on. I don’t recommend shopping or seeing characters during the first part of the day, as you’ll end up with longer lines when you return to attractions. 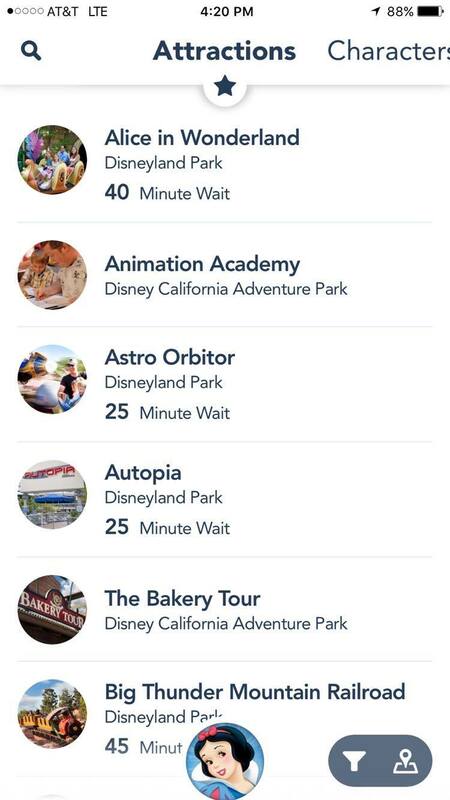 Plus, the longer you wait, the more likely you are to miss out on FASTPASSES all together, as they run out quickly. And, on busy days, spacing everything out as they suggest can fall apart fast. Touring Plans has good information, but we disagree on how to tour the parks. Hi Casey! We are excited to be returning to Disneyland next week and using your recommendations – they made our trip 3 years ago SO easy! I was looking at your CA plan for little ones with EMH and did not see Pixar-Pal-Around – any recommendation on what order to fit that in? That is a must do for my 6 YO. Thank you! I’m so sorry! I just added it to that strategy. You’re all set! I will be there with my family in 19 days! Myself, hubby and 2 boys – 4 and turning 7 there. Is there currently no nighttime parade or show at DCA? Mickey’s Soundsational Parade begins on 1.25.2019. It will run through Disneyland, however. Also at Disneyland, Mickey’s Mix Magic (a lazer/light show) will begin on 1.18.2019. There is no parade expected anytime soon at DCA, and we’re still waiting for info on World of Color’s return. Feel free to check back in with me, too. Happy to help you. I am going to follow your Big Kids plan with EMH. Would it still work if I grabbed the RSR fastpass first and then the Gaurdians one second? We will have MaxPass. We like to ride RSR at least 2-3 times so I don’t want to miss out! I’m staying at the Disney’s Grand Californian, Dec 29 & 30 and think I’ll have access to the early magic morning as a perk. My cousin lives in LA & is going to join us for the 2 days. Can she enter with us with our hotel key? It would be 4 adults & 4 kids. If she’s on your hotel reservation, sure. Otherwise, Disney typically won’t allow add on guests. Standby is the regular line. I would do the Big Kids plan at DCA. Then, do the Big Kids plan at Disneyland on your first day there. On your second, fill in with smaller rides for little ones that you missed. What ages do you consider big kids and little kids? I am taking a 6 and 9yo and am trying to plan both parks to make the most of the trip. I would go with the big kids plan for your ages. If there are any attractions that you’re not interested in, skip them and move onto the next step. Enjoy! Does your DCA strategy change any at Halloween to allow for the evening overlay of Guardians? I’m so looking forward to trying all your strategies when we go next week!! Hi Casey! Do you have a good map of the parks that will print on letter sized paper? All I could find are the interactive maps and the brochure map. Thanks! I don’t, Danielle. But, if you email me your address, I’ll ship some out to you. My email is Casey@DisneylandDaily.com. Hi Casey. Would you recommend this plan(Big Kid with EMH) for a visit on Monday, December 17th? I know it is supposed to be very busy that time of year and I was wondering if you would alter the plan at all? Thanks and I love your blog. I would use this as is. I’ve tested it during Christmas and it works great! I am so confused everytime I read “Rope Drop” on your posts. what is that? is it the action of getting there earlier or a place where we need to go? why do we need to go there? Thank you so much for ALL this information! I’ve been looking for a long time on a schedule like yours as were taking my 7 and 4 yr old girls for the first time! I’m nervous where to go first, when to get a fast pass, how to get food my kids are always hungry. So, your article about grabbing coffee while you wait, and where to start first and when to grab a fast pass makes me feel so much more relieved! Thank you so very much!!! Happy to help you! Enjoy. Hi. Thanks for all the info. On non-EMH at DCA days can you still ride Soaring prior to rope drop or do people just make line, but you can’t ride it until official park opening? Do you still recommend doing Soaring 1st on a non-EMH day or will the line for Toy Story be long by the time you ride Soaring & make your way to Pixar Pier? Thanks. I still recommend lining up there and following the strategy. Toy Story will work once you get there. Hi. Thank you for your great post. We are going on a Sat with no EMH at DCA. Can you still ride Soaring before rope drop (RD)? If not, do people start lining up for Soaring before RD since the RD is not until the Ariel ride area? If we can’t ride it before RD, do you still recommend doing Soaring at RD? I’m scared the standby line for Toy Story will get long by the time we ride Soaring & make our way to Pixar Pier. Thanks. You can’t ride it prior to Rope Drop on a non-EMH day. Guests do line up as soon as they’re allowed in the park, so be there an hour early, as I suggest. You’ll be first in line and in great shape. Toy Story will be totally fine by the time you get there. I’ve texted this plan many times and still get a 5-10 minute wait for Toy Story each time. Hi Casey! I know Guardians of the Galaxy has an amazing queue, if we have a fast pass will we get to see the queue or does fast pass skip that part? Thank you so much! The only thing I would change slightly on your list is on the Disneyland list for the Fantasmic fast pass— maybe specify that it is a paper ticket. We were used to only looking on the app but figured it out! Thank you for the posts and strategies! They are very helpful especially for a first timer like me! I read through your post above and understand that you recommend getting FASTPASS and riding Guardians of the Galaxy before getting FASTPASS and riding Radiator Springs Racers. But I also read your Facebook post on December 23rd 2017 with the full day experience tackling both parks with MaxPass. This is the link: https://www.facebook.com/DisneylandDailyCasey/posts/1455330824564556. In that Facebook post, you did RSR first and then did Guardians of the Galaxy, which worked very well on that busy day. I’m just a bit confused with which post is more updated. My friend and I (Two adults) are going on June 17th (I know that will be a very busy day) with Park Hopper ticket and we are going to visit both parks in one day. We want to do both RSR and Guardians. Is that possible and if yes, which one of the two you recommend going first? Thank you! Linda!!!!! I’m so sorry I missed this comment. It somehow showed as read and I just saw it today, realizing I never responded. I hope you had an awesome trip. I’m going to DCA this upcoming Sat. June, 9th. I plan on getting there when it opens, I want to get on the rides that have long lines early on, but I have a daughter who also wants to see Elsa and Anna. Will the line for that be long? Should I do that first? I do plan on using the maxpass as well for rides. I just don’t know if I should stand in line for some rides first or go get in line to see Elsa and Anna. Your advice would be appreciated. So sorry for missing this, Brandon! Hope you enjoy your visit to DCA. You should be there right now. For future reference, meeting Anna and Elsa is worked into one of my plans in this post…..I recommend meeting them at the timing I share here. Hello Casey, thanks for the tips! I would love your help. I’m going with my family (wife and 2 daughters, one of whom will not be 40in tall) in the 2 parks on May 25th and 26th (Friday and Sunday), so I’ve seen days full of people. My first question is: Which park do I go on Friday and which do I go on Saturday? Would you buy MaxPass? For my youngest daughter worth buying? Without the World of Color (not available) and also without Califonia Screamin what would you do? And finally, which fast food restaurant do you indicate? Visit Disneyland on Friday and California Adventure on Saturday. I love MaxPass, even for families. Try it day 1 and see how much you use it. 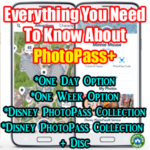 If you don’t use it enough, buy on on day 2 for the PhotoPass privileges alone. Just have one person buy it for PhotoPass. I love Flo’s V8 Cafe for fast food. Enjoy! Hello- we are visiting for 5 days- entering the park beginning on May 22nd ,2018. I see this is a grad night day, as is the 23rd. We want to get in all the big rides, we don’t have any little kids with us, but I love toy story mania. So my questions are: what parks should I do first, should we get a park hopper ticket, or save the money and purchase the max pass. Also- we want to take in WOC, and all the parades and both parks. 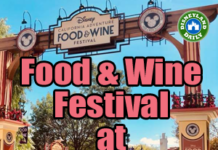 It will also be during Pixar Fest- which sounds like the park will be really busy for that. Thanks so much for your advice. Also- need help on how the best route to navigate DL. Park hoppers aren’t absolutely needed if you have 5 days, but they’re nice to have. We are going next week and staying at the Grand Californian, is it best to enter from the hotel, or from the main gates! I recommend entering from the main gates. The entrance from the hotel is great throughout the day for entering and exiting, but at the beginning of the day, it’s super crowded. Head to the main gate instead. Hi Casey! Your site is awesome! I can’t seem to see the map for “Your Strategy Without Guardians of the Galaxy – Mission: BREAKOUT!”. It says “Here is a map with this strategy: (screen capture this, too)” but I can’t see anything. Did it get deleted accidentally? If so, can you add it back or email it to me? Thank you!!! Hi, Lisa. Sorry. I took out most of the maps because I couldn’t keep up with editing them as I changed the strategies. I’ll do my best to recreate, but I don’t know when that will be. Screen shot the strategy and use a paper map or the one on the Disneyland app. Hope that helps! Thank you so much for all of this helpful information! We are going in early March. What plan do you recommend following if we have EMH, park hopper and max passes? Should we start at the park with the EMH and then switch parks for fewer crowds? Can I reserve fast passes on max pass for the park we are not in for the EMH? Whatever fits your group best will do. Use the EMH plan that you prefer. It will work with MaxPass. Park hop after you complete the strategy if you wish. Hi Casey, your blog is awesome! I have looked at the plans for DCA and DL, but we’re planning on park-hopping, and I haven’t been able to figure out how to handle this: we will be there on a Friday and Saturday, and we will have EMH, but we will be doing the evening shows opposite of our EMH. That is, we will have EMH at CA on Friday but are doing Fantastmic on Friday night and we will have EMH at DL on Saturday, but we are doing EMH at WOC on Saturday night (due to how dinner reservations shook out). What time do we need to head other park to get fastpasses for the evening show, and should we plan to send one person to pick them up and the other two stay in the original park, or should we migrate as a group (just two adults and a four-year-old)? I am planning on doing max pass, but I understand that maxpass doesn’t help us with faspasses for the evening shows. Thanks in advance! You can go over together as a group or send one adult to collect the FASTPASSES. Either way, be sure that the adult has park tickets for everyone, as the physical park tickets are required for the show FASTPASSES. I would make sure those passes are grabbed within an hour of park opening. It’s hard to know when they’ll run out. If you wait too long, you could miss them all together or only have the second show available to you. You seem like you’re very knowledgeable with how it all works. Enjoy! Hi Casey! I really love your posts! We have been a few times in Disneyland and will be there once more next week!!! So excited! I’m a ride chicken, but want to try some new rides this time. I want to try Space Mountain and BTMR, I really hate big drops like the ones at Guardians and Splash Mountain. But I’ve heard BTMR & Space Mountain are just fast, no drops at all, is that right? Any extra advice? One more question! Is it possible doing RSR twice in a day? We will be using Maxpass. Space Mountain and BTMRR don’t have huge drops, but they are fast. Use one of my strategies above for RSR in the morning and then keep checking the app for when the FASTPASSES for that evening are being distributed. Grab one when the timing works for you. Or, use the Single Rider line for nighttime. We’re visiting March 5-7–what is your opinion on how the crowds will be? And now that Guardians and RSR are older are the lines and fastpasses a little less crazy? Crowds will be ok. SoCal Spring break is a little later than when you’re here, but plenty of spring breakers will be in from other states. Be prepared with a good plan. There really is no slow time anymore. So happy to have found this post. I’m doing only a one-day park hopper and didn’t know if it would be possible to get it all done. I have two questions for you. Would you recommend Friday Jan 19th, or Sat the 20th (will be at Universal on the other day). Second question- I want to see World of Color AND Fantasmic. Is this crazy? If so, what show do you prefer? Thank you! I would visit Disneyland Resort on Friday. Go to Universal on Saturday. I prefer Fantasmic! over World of Color. But, if you are familiar with WDW, the show is similar. World of Color would be entirely new for you. If you decide to do both shows, see the 9:00pm Fantasmic! And the 10:15pm World of Color in the standby section I mention in that post. Hope I caught you in time for your trip. Enjoy it all! Hi! I am planning to follow the strategy including Guardians of the Galaxy on 12/21. The last thing on the list is “Grab Radiator Springs Racers Fast Pass.” So, does that mean the likelihood is that the Fast Pass time will be right away or that we should do lunch and stuff, and then ride RSR? Also, actually riding Guardians of the Galaxy isn’t on the list, which I think means the ride time will likely be after everything else on the list? Also, how come we need to go all the way to the Paradise Pier rope drop if riding Soarin’ Around the World is the first step? I plan to use Max Pass. Does it work to stay in the Carthay Circle area to be closer to Soarin’? Or should I just not question the strategy?? Thanks! Another good question! I edited my post to make this clearer for everyone. Thank you so much, Rachel! I love your critical thinking. I’ve shared this post about a zillion times and no one has caught what you did. So sorry I missed responding to you, Rachel! I’ve edited my post to be clearer about when to ride Guardians. I’ve also added a time to return to RSR. These are all estimates, of course, as each day is different. I appreciate you letting me know your confusion. Hope you had an awesome trip! Hi Casey…Thanks for all your hard work! We are going to Disney first week of Dec and doing a 4 day park hopper. I would love to use MaxPass but we are a family of 7 and 5 of them are kids ages 6-10. So would we have to purchase the MaxPass $10 per person per day? That can get very pricey if that’s the case. I tried reading up on it and that’s the way I was understanding it. Thought I would double check with you. Thanks! Yes, it’s $10 per person, per day. It’s an awesome tool to have, but you can have a successful visit without it. I know that’s a LOT of info. Let me know how else I can help! What are the chances you could create a map for the ‘Your Strategy if you have Extra Magic Hour (Without Guardians of the Galaxy – Mission: BREAKOUT!)’?!? That would be incredibly helpful if so! Not that the plan isn’t helpful enough, but for a newbie…I would be forever grateful! I so appreciate all of your ideas! What time should I reserve Ariel’s Dining to take my granddaughter to meet the princesses? I recommend an early lunch for princesses at Ariel’s. Don’t interrupt your busy morning with other tasks. Focus on getting stuff done and then have everyone meet late morning or early afternoon at Ariel’s. Ask to sit outside so you can all discuss what you accomplished on the busy boardwalk. So much to do! And, this area allows for so much to be seen. Enjoy it all. Hi Casey – We will be going to California Adventures on 11/8 an EMH day without EMH and we want to include Guardians. Would we still follow your advise as above or is there a different strategy for that situation? Yes. I rarely have EMH and use the same strategies and do just fine. You’re in great shape! Hi Casey! I was looking at your plan for guardians without EMH, would you suggest waiting to meet Anna and Elsa until afternoon? Or fitting the ladies in somewhere in the morning? I would try to see them before you head over to Paradise Pier. If the wait is too long, come back to them. Enjoy! We are visiting in October and I think we plan to utilize the Maxpass system. Do you recommend the same plans if using maxpass vs.using the traditional fastpass system? I used the basic planning idea from both parks when I tried out MaxPass and it worked super well. Adjust as needed, based on wait times. I haven’t found RideMax’s wait times to be accurate. I recommend using one of my strategies instead. I test them in the parks often and update as needed. Casey, thank you for all the information you provide for so many of us. Quick question about starting the day at DCA. We’re going to ride Galaxy 1st, but also want to get the Blue WOC FP–would it work for my daughter to head the direction of Galaxy and pull our 1st FP via MaxPass when the park opens (we’re always near the front of the admission line to the parks) and for me to head for the WOC kiosk to pull that FP, then join her over by Galaxy? I’m planning on following your Extra Magic Hour/without Guardians plan and am not fully understanding the wording, can you help? I understand that I grab a fastpass to RSR first, but then both 2 and 6 say to ride RSR with fastpass. Is that just a suggestion based on when your return time is? Or is #2 supposed to be to ride RSR WITHOUT fastpass, which would get us two rides in one day? Thanks for all your help! Happy to help you! Sorry for the confusion. Poor wording on my part. I update these posts constantly and just went too fast on this one. I corrected it, but essentially you will ride RSR and then grab a FASTPASS for it. Then, you’ll ride it with a FASTPASS at step 6. Thanks for all of the information! I was planning to follow one of your itineraries, but I was a little confused. Under number 7, the first two things listed are: “Your Strategy if you Have EMH and Want to Include Guardians of the Galaxy – Mission: BREAKOUT! Does this mean we will be riding Guardians of the Galaxy twice? First thing and then again at the return time from the FASTPASS? I just want to be sure I do things correctly since it seems that in the morning it is so important what you do with your time, especially since we will have the extra hour. Thanks so much!!! Exactly. Most people want to ride more than once because it’s new and because there are essentially 6 versions of this ride to explore. It has 6 different songs that accompany the videos and drop sequences. Enjoy! Thanks Casey for this post! We (familly of 4 w/ 5 and 7 yo) will do one day at DCA on Tuesday 8/15. The park opens at 9:00 that day. We love Cars, so RSR is priority one for us, but I will follow your GOG day start plan, knowing RSR should work out fine, though riding it twice would be great! Will do Frozen show too at 3 or 5. What do you advise on a WOC Carthay Circle (early show) dining time to best make this all happen? I’m guessing lunch there is a bit quicker meal, and we could do this as a lunch, but am open to anything to make the day smooth. A midday break would be ideal as you’ve recommended but I am not sure when to fit this in? (we are staying at an entrance hotel). We could do a quicker WOC dining option but my husband wants to eat at the Carthay Circle. I guess sitting at Frozen is a nice break if we can’t make it to room. Have two days at Disneyland after this first day at DCA, so wanting the trip to start off well without too much exhaustion. So appreciate your thoughts, thank you!! Check with Disney directly regarding the timing for the Carthay Circle Lunch. This dining package keeps changing and the times are not always the same to choose from. 714.781.DINE is the dining line. Wish I could help! So sorry I don’t have the exact info. Hope you enjoy your visit! You have some good plans made and you’ll appreciate them so much during your trip. Hi Casey, thanks for getting back to me. I was just hoping for your advise on what time is best to schedule the Carthay Circle meal in terms of how this will fit into the one day CA Adventure day plan you’ve set out. Carthay has times available basically all day from noon thru 7:00 that will give us the early show for WOC. Would you suggest trying to do like a 12:30 lunch followed by Frozen at 3:00, or would this not allow us enough time to get all the rides in and block out prime fastpass return time? Or we could push the show and meal both back into the evening more, or maybe it is better to space the meal and show out since its quite a bit of sitting. I am thinking with a long meal and frozen show we will not have time to head back to our room to rest that day. I know this is all subjective, but would really appreciate what you would recommend for us w/ 5 and 7yo to keep it all fun. Thanks so very much! Hello! I will be traveling with my husband and 3 kids (6, 4, and baby). I was wondering if your plans work with using Rider Switches and if we would still be making good time by following your plan? We will be at the parks in a couple of weeks and I am hoping we could get lots done this time around. Thank you so much for all you do for these Disney tips! I love them and I hope they will work out for us. I encourage you to use Rider Switch as often as possible. However, I suggest you save those return passes until later in the day and not interrupt your morning strategy. Doubling up on attractions that allow Rider Switch will stall your progress. Instead, have one parent later in the day – in the afternoon sun, to take kids to Animation Academy or Redwood Creek Challenge – and allow the other parent to catch up on rides by redeeming all those Rider Switch return passes. That way, both parents get to enjoy the attractions, but it doesn’t interrupt the progress I hope you’ll make in the early hours of the morning when the crowds are lower. Hey Casey! First and foremost, thanks for creating such an amazing site and sharing so much incredibly detailed info! I’m going to DL and DCA on July 14th during the D23 Expo (I will be covering it as press for my own blog) and had a few quick questions for you. 1) Do you recommend getting a Fastpass for WOC before the rope drops even if we are going for Guardians early? (After we ride Soarin’?) I noticed you recommend it “without” Guardians, but not with in your post. 2) My girlfriend is a huge Disney Princess fan, and I scheduled for us to do the lunch dining experience at Ariel’s grotto at 11:10am based on your timing recommendation. I originally had it for 1pm, and there is also 12:50pm, and 11:30am available. Do you think an 11:10am reservation gives us enough time to hit all 4 of the rides above before hand? Any thoughts or recommendations on how to schedule the morning (assuming we don’t get the Magic Morning) to hit all of the newer bigger stuff, and then do the Princess Lunch, would be truly appreciated! We are coming in from out of town and it’s also for her 30th Birthday, so I’d like to fit in as much of DL and DCA as possible on Friday in case we only get Park Hoppers for that day. WOC FASTPASS can wait. Don’t destroy your morning over it. Grab it early, but focus on the big rides before. I think you’ll be ok with your 11:10am reservation. If you feel like you might be early or late due to a FASTPASS, run by or call the restaurant (a guest services cast member or “plaid” can help you do so at any umbrella) to adjust your reservation slightly if needed. You’ll be in great shape! Thank you for the follow-up comment Casey and the additional info. Out of curiosity, have you heard of a software / planning program called RideMax? I heard it suggested on another site. Is it worth purchasing or looking into? How similar is it to TouringPlans.com? All info is truly appreciated. Thanks again! Hi Casey. thanks for the great info! I’ve got a question about the rope drop at Paradise Pier. In this post you say that it’s NOT there during EMH but instead at Fiddler’s. But on Monday June 12th you wrote on Facebook that the rope drop was at Paradise Pier so you were able to ride Soarin’ before park open. My question is can you confirm that this rope drop is at Paradise Pier on all EMH days or was that just a one time deal? We are going this weekend and plan on rope dropping DCA Sunday. I’d love to be able to ride Soarin’ early like you did on June 12th. Second question, How bad do think the crowds will be this Sat, Sun, Mon with the 4th of July on Tuesday and all? I’m so sorry I missed your comment. Somehow, it was approved in my list, but I see that it required a response. I hope you had a good visit! Rope Drop has been consistently set up at Paradise Pier and Soarin’ has been available prior to official park opening. I’ve enjoyed it several times prior to rope drop! Hope the crowds were manageable. I was there briefly on the 3rd and they were OK. Thank you so much for the information! I just had two questions. We (2 adults, 11 y.o., 8 y.o.) will be at DCA on Monday, July 10. We don’t qualify for EMH, but can get into the park at 8 a.m. Since we’re staying at a Good Neighbor hotel within walking distance, we’re going to take a post-lunch break. We’re not going on the GoG ride, so RSR is our biggest priority. If we wait to FP it, do you think the return time will end up falling in the middle of the afternoon when we’re hoping to be at the hotel? Also, We have a 5:45 dinner reservation with the dining package for the 9 p.m. World of Color show. Are there any rides that have a shorter waiting time in the 5-8 pm range? Thanks again! The return times have been earlier lately due to Guardians being so popular, so you should be ok, but check before pulling those FASTPASSES. I would check out Bugs Land, Redwood Creek Challenge Trail, and the Animation Academy during the 5-8pm time frame. You will have covered a lot of the park if you follow one of my strategies during the morning. These options will be most of what you’re lacking. Our family of 7 (age 9 and older) will be at the parks late July! We will only be at the parks for two days and have park hoppers. Is there a plan that incorporates both parks for one day? I’m a little overwhelmed and want to make sure we have a plan in place. We have a character breakfast with Minnie that I’m planning for Friday at Disneyland and that is the only plan so far lol Thanks so much for your help! I actually recommend not hopping and focusing on one park at a time – at least until you get through the morning strategies for each park. Both of those will take you to the most popular rides and get you set up for your afternoon/evening. Fantasmic! FASTPASSES will be available for Disneyland by the time you visit. And the DCA plan incorporates WOC. Both of those are nighttime shows. So, staying within the same park makes the most sense. 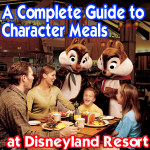 Make sure your character breakfast is as late as possible so that you can get as much done as you can in the morning at Disneyland. 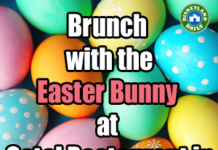 Then, break for “brunch” around 10:30am. Let me know what questions you have! 1. Grabbed fast pass for “Guardians: Mission Breakout” (at this point, the fast pass gave me a time between 8-9pm). The wait time for standby was about 75 minutes, which blew up to around 120 later in the day. 4. Grabbed fast pass for “Soarin’ around the World”. 6. Grabbed some much needed lunch! Took about 45 minutes at the “Wine Country” restaurant. 9. Did various shopping, hopped back and forth between the two parks for a few hours. 11. Finished out the day with Main Street Electrical Parade and Fireworks to end the night. This is in no way optimized (since I bounced around a lot), so I’m sure you could do it in a slightly different order. Use those single rider lines even if you’re in a group! There’s a good chance you’ll ride near your family/friends anyway and you skip most of the line. A final note: I thought it would be a bummer that I was going to ride “Guardians” last, but it turned out to be my absolute favorite ride hands down. Ending the day with your favorite ride and then the parade/fireworks? Capped an UNBELIEVABLE day at the parks. Guardians is surprisingly fun. So glad you had a good visit! Hi Casey! I am so excited for our 1st trip to Disneyland in November. I am so thankful that I found your plans! Being a WDW veteran, I was so nervous about a touring strategy. I can’t wait to try out your plans. I do have 2 questions….did the Frozen show replace Aladdin? And how long is the Frozen show? Thank you and have fun today in DCA! Hi Casey, I didn’t see it specifically on the Guardians of the Galaxy – Mission: BREAKOUT! section, but I’m assuming that you still advise pulling the World of Color FP prior to rope drop? Yes. Or shortly thereafter. It’s not something that has to be done immediately. Just early. I’ll add that to my plan. Thank you! Your website has been a HUGE help in planning our late June vacation – thank you so much!! We have 9:30 reservations for Ariel’s breakfast, no EMH or Magic Morning – any advice on how to work around the breakfast and still accomplish as much of your plan as possible? Is there usually a long wait time to meet Elsa and Anna? Thanks again!! Hi, Kate. Anna and Elsa’s wait can be long. Have you considered a lunch at Ariel’s instead? It will free up your morning and allow you to get so much done prior to dining. 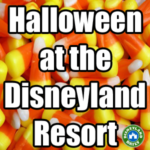 We used your general plan last weekend (very busy-Disneyland reached capacity! ), and it worked great for us. Thank you so much! It made the day less stressful. I don’t know how so many can be excited after reading these articles…it is simply overwhelming. Looks like it takes 3 years of College classes to learn all the rules and strategies. I wanted to go to Disneyland until I started reading all the ins and outs of FastPass, MAXPass, SinglePass, SwitchPass, Disney App, etc. Excuse me while I take an aspirin. I’m sorry, Bob. I know it can be overwhelming. I’m happy to help you if I can. I don’t agree with starting with RSR first. I’ve designed all of my plans to NOT go there first, which allows you to avoid the crowds and get so much more done. I’ll have an updated plan for Guardians next week! It will have a FASTPASS. Also, what are your thoughts on getting the park hopper passes vs. the 1 park per day passes? I also think one park per day tickets are totally fine and a great way to save money. Hope so much this helps! Don’t stress over the crowds. You’re doing your research. You’ll do just fine. Great touring plan, Casey, thanks. I love the idea of heading to TSMM instead of RSR. I have a question: we will be in DCA on June 5, which is just after the reopening of Tower of Terror (and an early entrance day but we don’t qualify). We are traveling with our 4 young adult children who all will want to do TT. How might you fit that into the above plan. Thank you! I’m working on a new plan to incorporate Guardians of the Galaxy – Mission: BREAKOUT! into this one. I’ll update this same post with that asap. Sure! This page has a “family” plan for both parks, but is aimed for adults. Have a great time! I’m a dork, and have to ask-is stand-by for soaring just the regular line? Thank you! Yes. 🙂 Not a dork! Love all your advice! We will be there in June with 6, a mom, daughter and 4 boys ages 10-4. Salute to Troops tickets, so no Magic mornings. 4 days. Can you give us advice for a boy centric schedule? They are there for the rides, we don’t care about WOC or Princesses. They do like Frozen and the Electric Light Parade.We need a plan geared for Boys! Hard to find. Any advice? I actually think this plan would work just fine for you. Skip grabbing the WOC FASTPASS and meeting Anna, Elsa, Olaf and Kristoff. Proceed on, other than that. You’ll get lots done early and then can go back to repeat favorites. Enjoy! I just read the comments and saw your response to someone else on this topic so feel free to delete my question! Thanks for a great web site! No worries. You’re so welcome! This plan looks so great! We will be there after the new Guardian of the Galaxy ride opens. Where should that fit in? Eek! We are not staying on-site and will be to DCA on June 11 or 12. Thanks! Thanks so much for all your wonderful tips! We will be staying at the Grand Californian and when reviewing your post it seems I can get WOC fast passes prior to the rope drop so I was wondering if you knew how early they start distributing fast passes for WOC I would like to get them at the earliest time they distribute these. Thanks so much! Should be at the start of EMH or as soon as guests are allowed in for a day without EMH. Enjoy! If I get the RSR FP as my 2nd FP as you recommend, what do you think will be the approximate return time? I need to leave the park by 11:30am-Noon. Depends on when you visit. I would follow this plan and grab RSR as it suggests and then if it’s too lays, use the Single Rider option. Visiting both CA parks for the very first time about a week after Guardians of the Galaxy opens. We have 3 day park hoppers and will be trying to do and see everything possible. Already booked a WOC lunch package for day 2 so we won’t need to get FPs for that. Please offer advice about FP strategies considering GotG will be brand new. I’m well versed in WDW planning but DL and DCA are a new adventure for me! I’ll have a plan similar to this for Disneyland in the next couple of weeks. As soon as Guardians opens, I’ll amend this plan to include it, too. Definitely check out this post for lots of basic info and a section dedicated to WDW vets. Let me know how I can help! What is your advice for those want to ride RSR twice? If you don’t want to use this plan plus a later Single Rider option, I would go directly to RSR and ride it…..then get in line for a FASTPASS right after. Have Toy Story Mania Fastpasses been running out early like Cars Fastpasses used to, or they available most of the day? So far, available most of the day. But that could change with summer crowds. Hey Casey! Love this plan. How does Working Cars Land and a Bugs Land into this plan go? My kids are quite little (2 and 4) so some of the paradise pier rides may not really be their speed. Should we still stick with going to TSMM first and Soarin and then go pull the RSR pass? My son is Cars obsessed, and both kids are Toy Story obsessed and would love to meet Buzz and Woody. Hi, Liane. I would still stick with this plan. Most of those rides in Paradise Pier will work for your crew. The two rides in Cars Land (outside of RSR) and Bugs Land are typically low wait lines. You’ll be just fine as is! Thank you so much for the helpful post!i love your thorough, thoughtful, detailed reports! Hi Casey! Thank you so much for this post! Do you think it is possible to do RSR and TSMM before 9 am? Loooove your reports they are so informative. Just wondering if they have a separate line for world of colour for the bridge (if you have a blue fastpass) or is there only one line for the blue fastpass anyway. I have only just learned that the bridge is a great place to watch world of colour from and when we were at Disneyland over 2 years ago we joined the coloured line according to our fastpass but got terrible seats even though we were near the front of the line. By the time we got to our area there were already 2 rows in front of us at the railing. Actually have just re-read your post. Are you able to stand on the bridge and wait for world of colour if you get there an hour early – like claiming your spot or is it roped off? Your advice is most appreciated. I think this is your best post EVER! Perfect love the screen shots…so helpful! Hi, Cyndi. You won’t make Rope Drop, but you shouldn’t be too far behind. Arrive 10 minutes early to your breakfast so you can get in as quickly as possible. Then, head to DCA and get started. Enjoy! Thanks Casey! I’m sooo excited to go to Disneyland!! I’ve been reading up on all your tips ? You are so lucky to be at the Happiest Place on Earth all the time!